The Do-It-Yourself crafting trend started a long time ago, long before brides completely embraced it. However, with a little help from Pinterest and Instagram more brides and grooms are finding ways to take over parts of the wedding that would have previously been done by vendors. Adding DIY puts a personal stamp on many elements of the wedding and really helps reflect your personal taste and style. There are several DIY wedding projects that can be cost-effective, although they are all a little bit time-consuming it is a lot of fun to do. Below you can find our favorite DIY wedding projects. The trick with table or seating plans is to be creative and original. A very simple and easy idea is to find a large framed mirror in a store or antique shop and then write the table names on this with a white marker pen in your best handwriting. Or you could print out the table plans on your computer on white or coloured cards and in an eye-catching font. Cut these out with a scissor and then stick onto a mirror board. You cannot think about your reception décor without thinking about centerpieces and flowers, from over the top to simple, rustic and chic. There are a lot of different options when you want to recreate centerpieces and make them yourself. 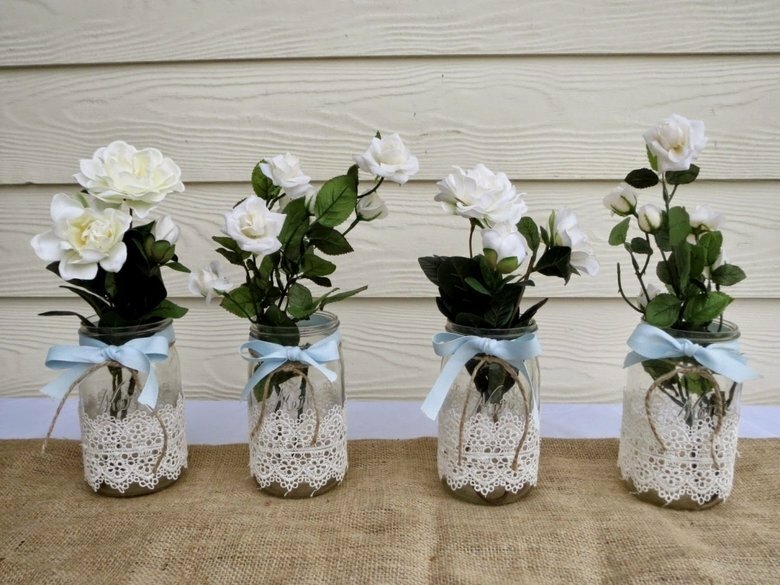 Some of our favorites are; jars filled with tiny led lights, jars wrapped in lace and ribbon, wine jars wrapped in rope finished of with a single rose or other flowers. To add a little extra to your wedding you can get some cute flip-flops for the ladies when they get sore feet and want to hit the dance floor. You can also set up a table where the guests can leave ideas about for example date night ideas, marriage advice or if you are thinking of kids: baby names! You can decorate this jar nicely and let them write on a popsicle stick. 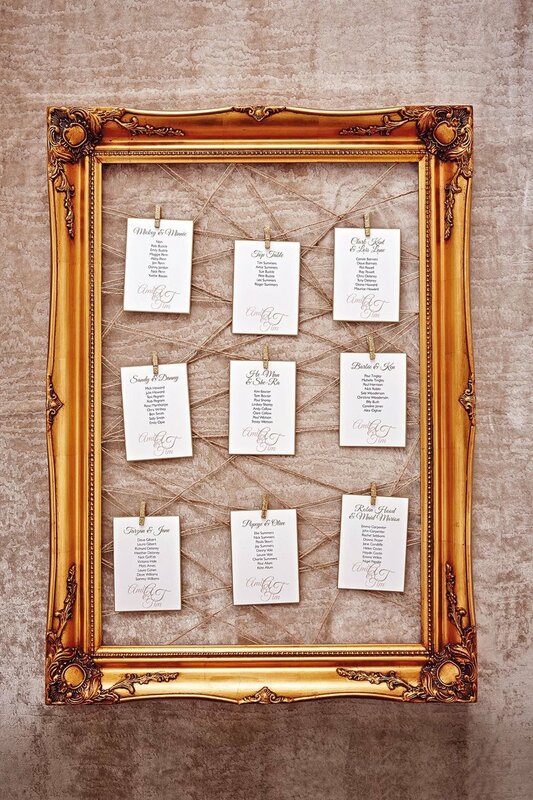 Another great idea that will not make you forget your wedding day is making a wall with all the guest names on a card, let them replace that card with a polaroid photo of themselves. 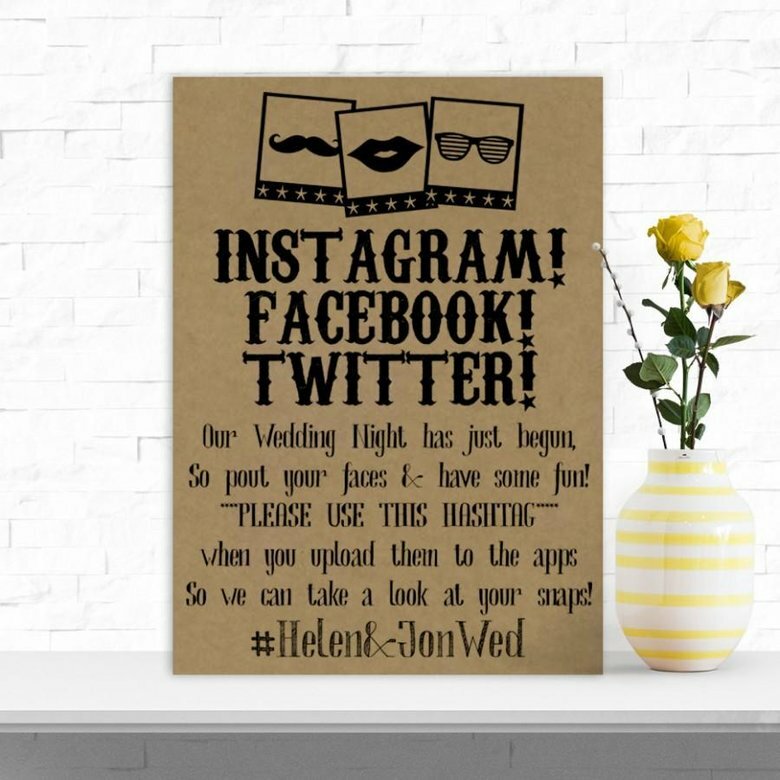 Moreover, ask your guests to use hash tags when putting a picture or a comment online on social media, so after the wedding you can create a wedding photo booth through the pictures of your friends. Candles are timeless, classy, and of course very pretty, with an old-timey vibe that can be changed into a modern feel. You can decide to buy them from the store or make selections of homemade DIY candles. These warm, glowing decorations provide any wedding venue with elegance, allure, and not to forget about beauty. 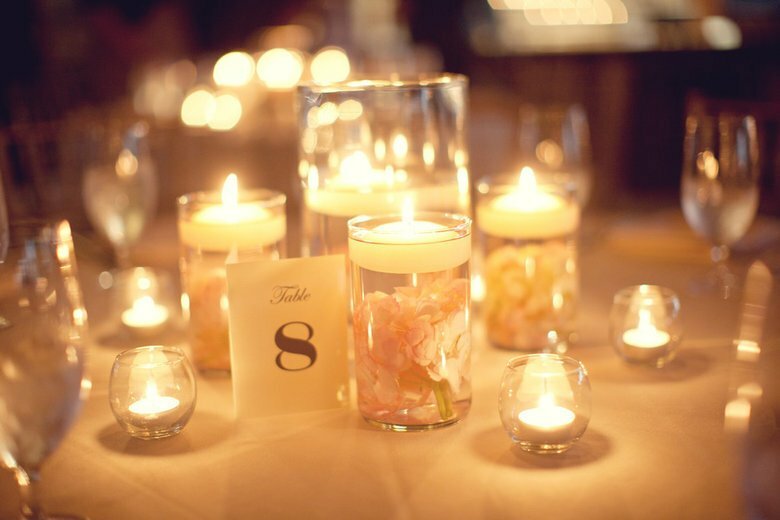 Whether you use tea lights, candelabras or hurricane lanterns, there is nothing like a flickering flame to give your wedding dinner a beautiful ambience. Moreover, they have the added benefit of providing a romantic glow on your loved ones’ faces, meaning you are more likely to get pretty wedding photos.